Caption slip reads: "Photographer: Sandusky. Date: 1958-05-22. 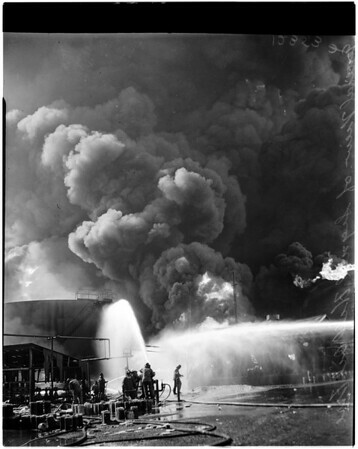 Assignment: Refinery fire. Special Instructions: no credit for plane. 20 negs: Aerial views. ".